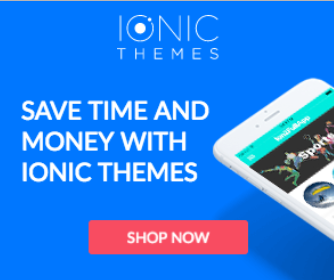 Ionic Tutorials for Ionic 3 | Learn Ionic Framework with free tutorials. In this firebase ionic 4 tutorial you will learn how to make a CRUD (Create, Read, Update, Delete) application in Ionic Framework using Cloud Firestore as a database and Cloud Storage as an image storage. Free ionic firebase starter app included! Learn everything about Ionic forms and input validations in ionic 4 apps. We will discuss the best practices for designing user-friendly forms and then we will go through the differences between Angular template-driven and reactive forms. For this ionic 4 tutorial we created a mobile app example with lots of forms and validations to help you master data collection using angular reactive forms. This Ionic framework tutorial will show you how to add Facebook Authentication in your Ionic 4 App using the NATIVE Facebook app to perform Single Sign On. This will enable an easy and elegant way for your users to login to your ionic app. Learn every concept related to Ionic Framework development. A getting started tutorial to find all the concepts you must know about when developing apps with Ionic Framework. The goal of this Ionic tutorial is to build the most complete getting started with Ionic Framework guide ever built. We want to help beginners through their first steps on the Ionic world. To help you through your Ionic Framework learning process, we created an Ionic 3 app with a question and answer format (Q&A), where users will be able to ask and answer questions. So in this complete tutorial we will go all the steps and concepts needed for you to create your first ionic app. Support for Firebase in Ionic and angular has been growing recently, and in this ionic tutorial, we will show you how to upload data from an Ionic 3 app to a database in Firebase Cloud Firestore.